I’ve seen some very bad Movies with high ratings. So have you. While some damn good Movies get pissed on. Ditto. Likewise, never judge a Movie by Production values. Many ‘Big Budget’ Movies are horrific. While ‘Small Budget’ Movies can be Masterpieces. 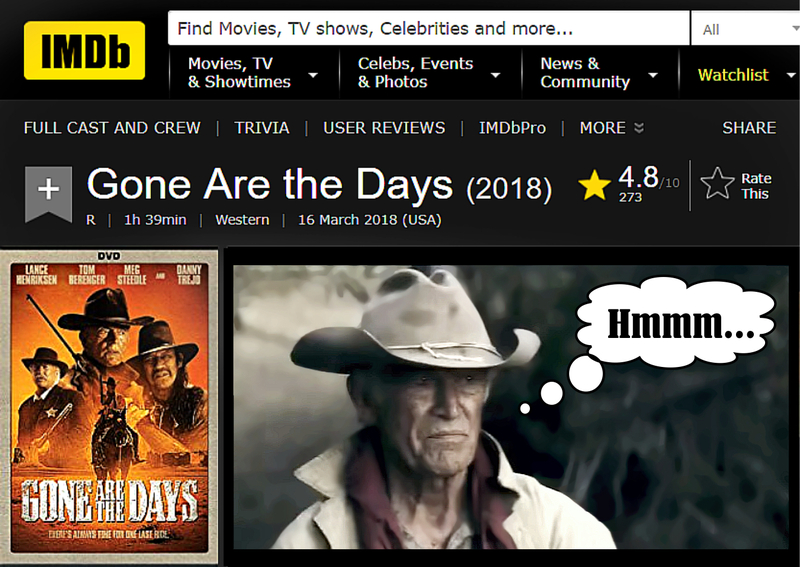 IMDB rates Gone are the Days as 4.8/10. But I figured I’d give it a ‘Fair Hanging’ and make my own judgement. Verdict: This is one of the best movies I’ve seen this year. Not just as a Western, but it’s just a really good movie. I’m giving it an easy 8. You make your own judgement. Lesson: Don’t always buy Reviews. 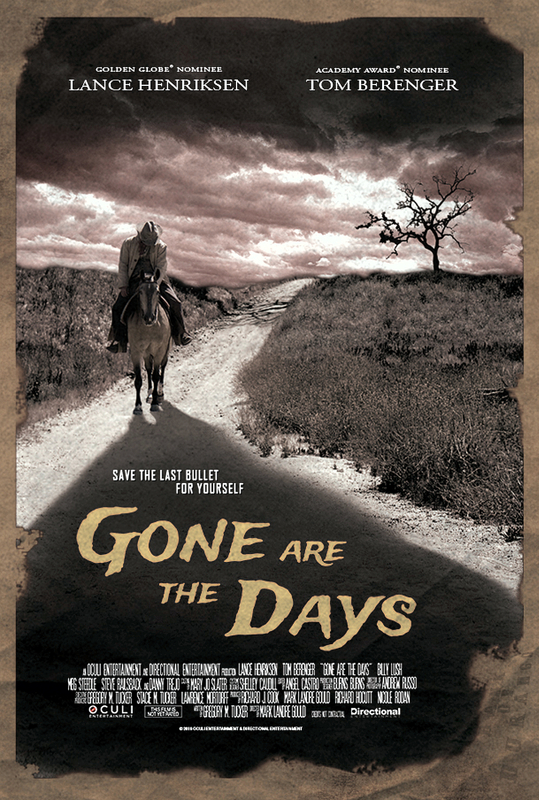 Acting: Lance Henriksen and Tom Berenger are both excellent. Billy Lush and Meg Steedle give outstanding support. Danny Trejo also does a nice job in his small role. 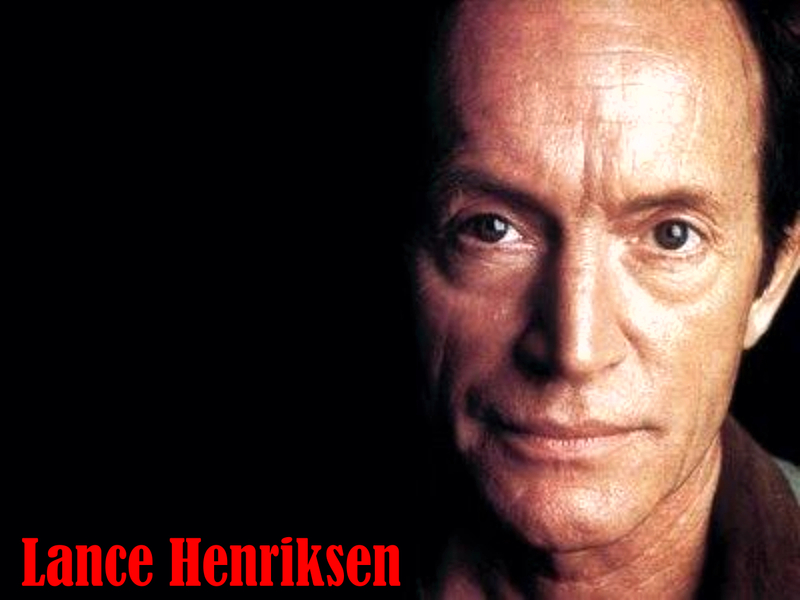 78-year-old Lance Henriksen is perfectly cast as the bygone badman. 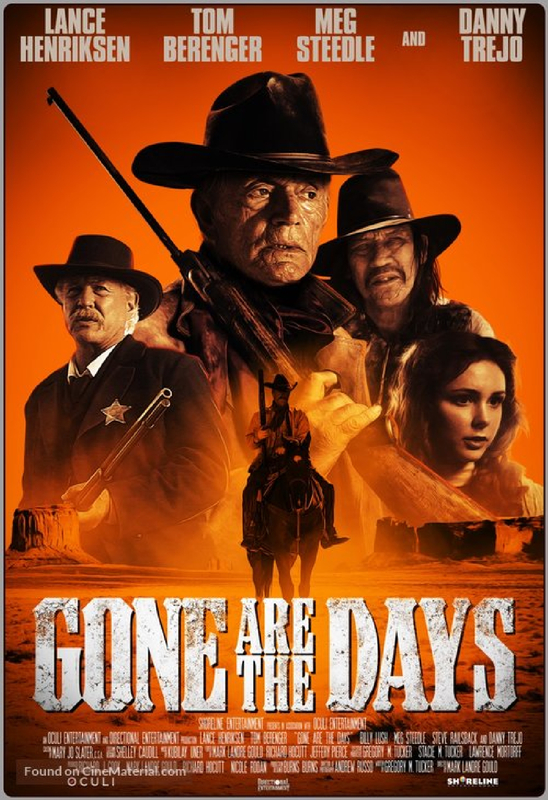 Lance has a good body of work under his hat and you’ll likely recognize him from Alien 2, Aliens 3, The Right Stuff, Powder, Damien: Omen II, Jagged Edge, Prince of the City, Dog Day Afternoon, … along with several Westerns: Dead Man, The Quick and the Dead (Boo! ), Appaloosa (Yay!) and Millenium (TV). He’s a good Actor. Berenger? I hadn’t seen him a while and I wondered how he’d be? He’s great. He’s done good work in the past (Nominated for the Academy Award for Best Supporting Actor for his role in Platoon (1986); more recently Primetime Emmy Award for Outstanding Supporting Actor in a Miniseries or a Movie for his performance miniseries Hatfields & McCoys (2012) and he’s equally good here. 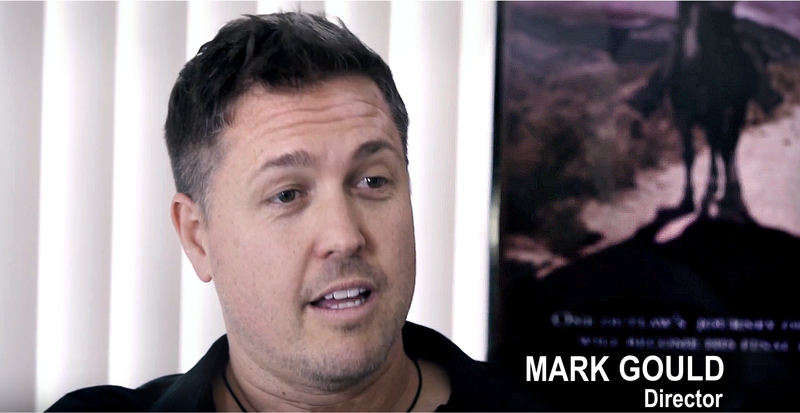 So we definitely give credit to Director Mark Landre Gould for his first film. May he make many more. 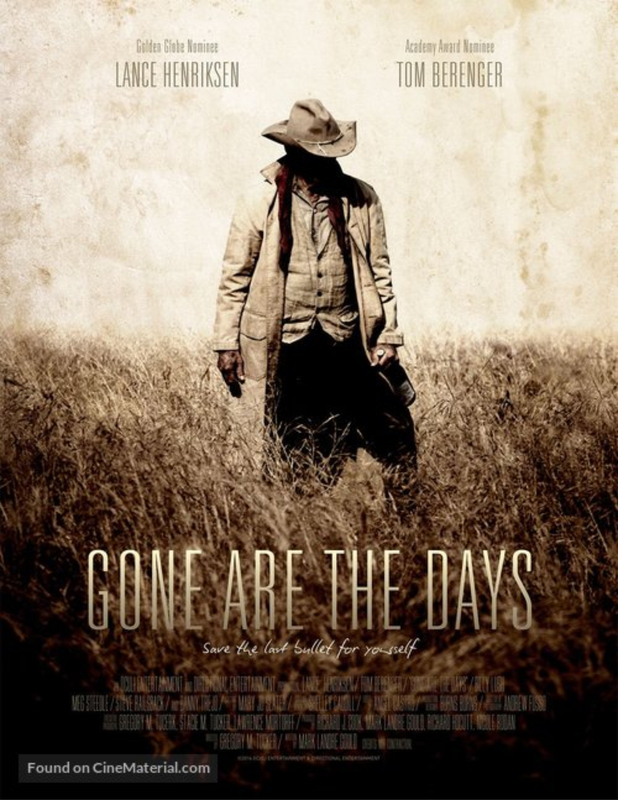 Gone are the Days is not a conventional Western and it will not be everybody’s cup of whisky. (What is?) BUT I do hope you can appreciate good movie making when you see it. This is good to know. It’s a effective component in the movie. Thanks for the support!!! I really appreciate it. I am always happy to see someone who looks at film for what it is and not for the genre. My great pleasure friend. Keep up your passion and great work.